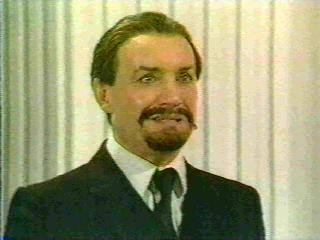 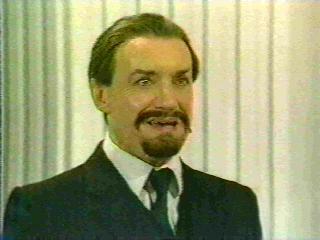 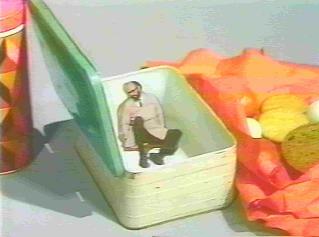 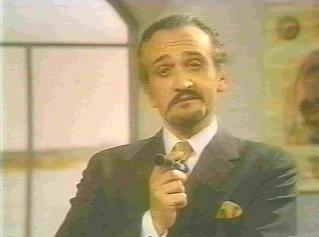 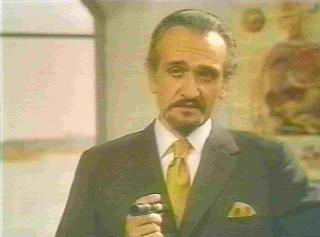 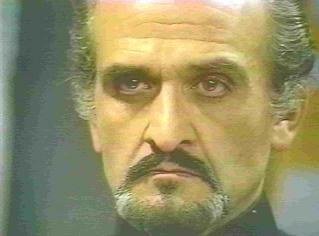 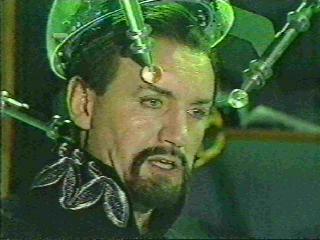 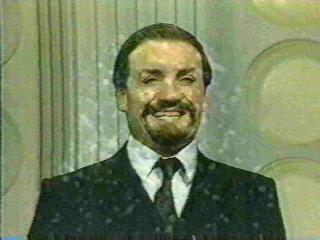 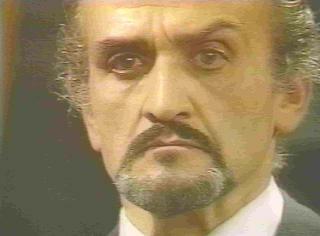 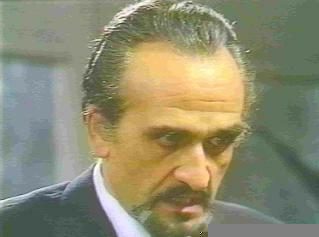 The second pair of pictures are the Master as played by Anthony Ainley. 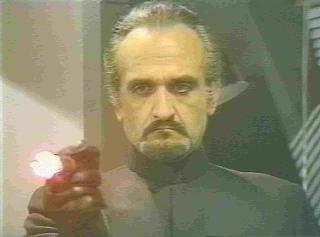 On the left, the Master controls his android slave Kamelion. 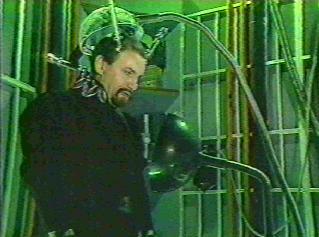 On the right, Kamelion, wearing the Master's face, threatens the Doctor's TARDIS. 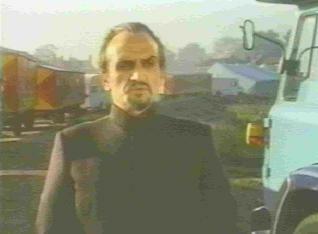 Both images are from The Planet of Fire. 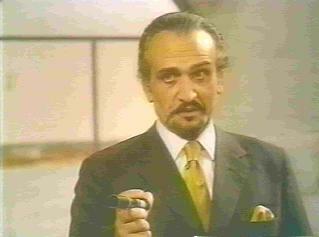 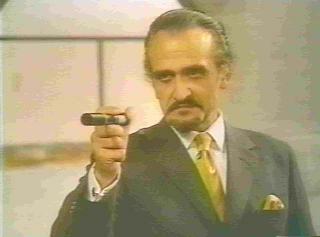 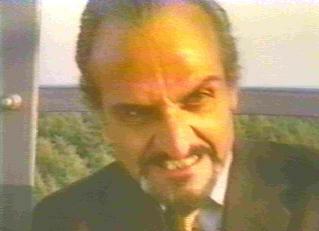 Listen to the Master in The Time Monster as he uses his hypnotic powers on yet another victim. 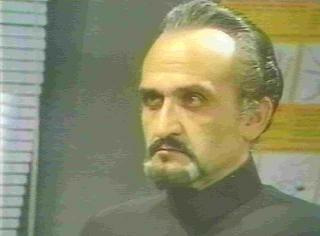 Later in the same story, he orders around another unwilling slave, who is amazed at the Master's power.